Medic! When you need a company to install you wrap make sure you call us. There are many times that larger companies will have the wrap designed and printed then shipped out for you to put them on. We take pride in every aspect of vehicle wraps and we would be proud to just install your wrap for you. 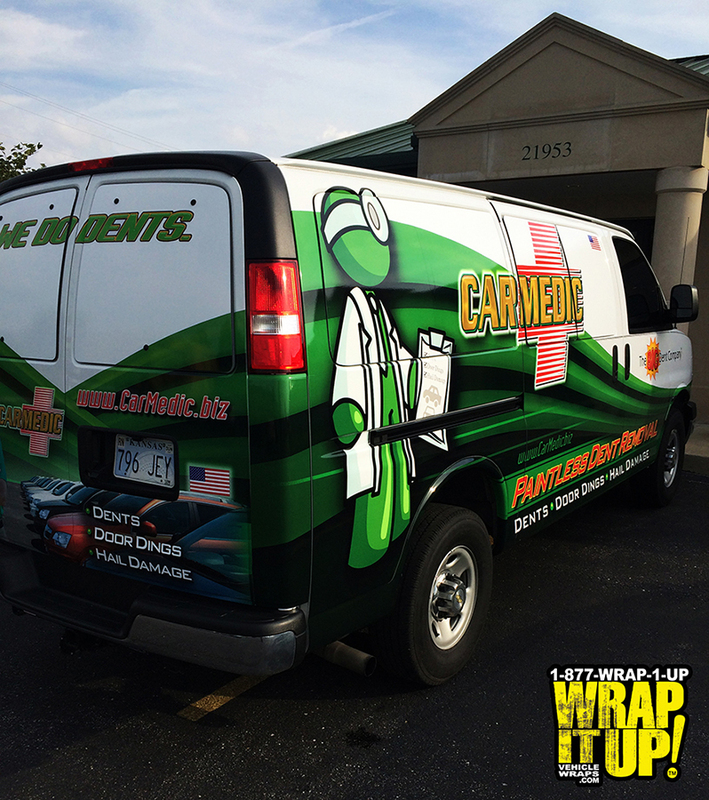 This van wrap for Carmedic is an example of a just that. Our installation crew are highly experienced in working with many materials and brands. If your vehicle gets dinged up make sure you call our friends at Carmedic. Thanks Carmedic!